The only reason you don’t have what you want right now is because your subconscious mind doesn’t think it’s safe for you! You’ve tried it all: visualization, affirmation, and meditation. You’ve even used techniques like NLP, EFT, and chakra clearing and still your goals and dreams elude you. The good news is that it is a simple principle that must be applied in order to achieve your goals, however the challenge comes in applying it properly. Let’s look at safety. Basically safety is the operating system of your subconscious mind. Backing up for a moment, the reason our focus is on your subconscious mind when discussing getting what you want is because your subconscious mind controls 95% of every thought, word, and action that you make throughout your day. So if you’re serious about creating immediate, permanent, and meaningful change in your life, your subconscious mind must be involved. And not only involved but not be threatened by what you want. The subconscious only has one thought on its mind and that’s your safety. If for any reason there has been a negative or painful learned association between love, freedom, happiness, money, or whatever else you want, it’s not going to happen. Learned associations (a.k.a. belief systems) are formed very early in childhood and literally set the barometer of what you can expect to receive and experience the rest of your life. The subconscious makes no judgment as to whether this set point serves your higher purpose or is in alignment with your current goals and dreams. It simply has determined based on its infinite wisdom (sarcasm) what’s safe for you. The tricky part with this truth is discovering and understanding how your subconscious mind defines safety and what it’s determined to be threatening for you. We call that a breakthrough. Once you’ve uncovered the hidden secrets locked within your subconscious mind regarding safety and threat, now it’s time to create agreement or alignment between all three levels of consciousness including: Super, Surface, and Subconscious minds. Your Super-conscious mind is your “brain free” consciousness. It existed before your nervous system and your physical body. It’s constantly and fully connected with God, source energy, and already knows what’s best for you. 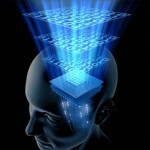 Your Surface-conscious mind is what you’re using to read and interpret this blog post. It’s also responsible for coming up with what you want including all your goals, dreams, desires, hopes, wishes, etc. It’s sort of the captain of the ship however, as we discussed it’s the Subconscious-mind (the crew) that really runs the ship behind scenes. The key with this part of the principal is that all three of your minds must be thinking, focusing, and wanting the same thing in order for you to get what you want. And the last step is frequency. Frequency actually has 2 parts; intensity and repetition. Intensity deals with how passionate, excited, grateful, and emotionally bound you can be to this new reality that you desire. Knowing full well that your existing reality is your subconscious mind’s current definition of safety, regardless if it’s working for you or not. The primary way to get the attention of your subconscious mind, enough for it to consider something different than what it’s already manifested, is to feel really good about experiencing your goal. Repetition refers to practice, practice, and more practice. The second most important way to engage your subconscious mind is through rehearsal, replay, and review. Every second of every minute of every day, act as if you already have the thing you desire. The more familiar your subconscious is with what you want, the safer it becomes and the safer it feels with it the quicker it will manifest. If you want to fast track on getting in touch with – and removing – those limiting subconscious beliefs, I invite you to check out my revolutionary quantum emergence personal transformation system at http://www.QuantumEmergence.com. 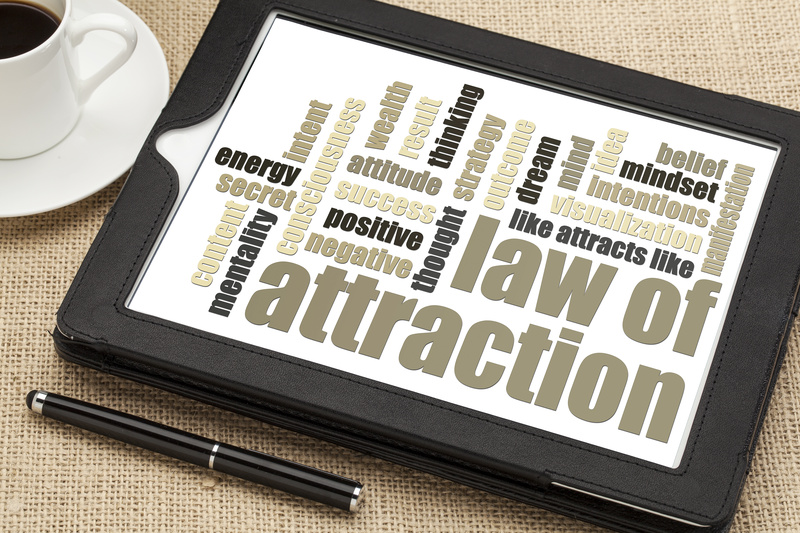 Reason #2: The law of attraction is not working for you because your subconscious mind doesn’t understand what you want. Okay let’s suppose you get through the # 3 roadblock to manifesting your goals and that your subconscious doesn’t perceive what you want as a threat. Now you have to deal with the fact that your subconscious has absolutely no clue what you’re talking about when you say you want more money, a new relationship or better job. 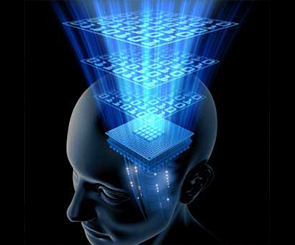 Think of your subconscious mind like a computer although it appears to have some level of intelligence it is simply processing data. It doesn’t have the capacity or ability to comprehend the concepts and ideas that your conscious mind comes up with regarding what you want, hope and dream of. 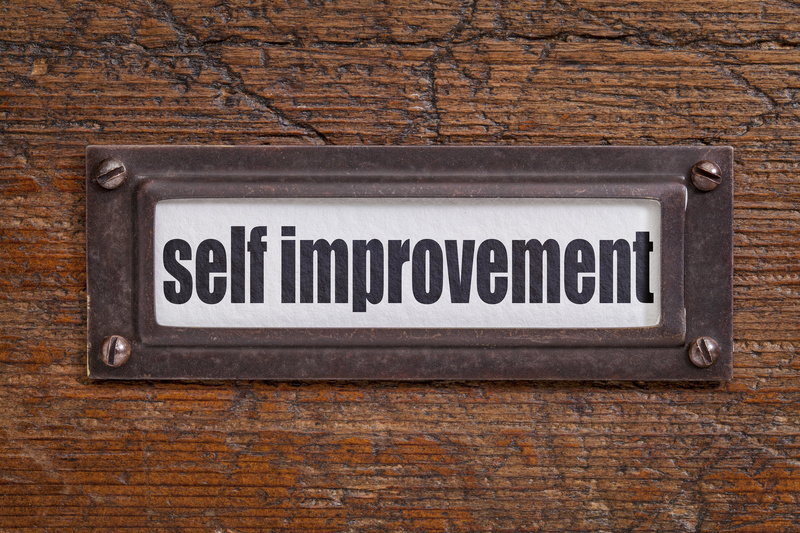 Contrary to popular belief, (and one of the top 10 myths about personal development – blog post coming soon!) You don’t have individual beliefs about money, relationships, career, purpose etc. because your subconscious mind, which creates and maintains your belief system, doesn’t know what those things are. You only have 1 belief and 1 belief only which is; “what do I believe about myself?” Your belief system is rooted in your subconscious self-perception and that’s it; that’s the only thing it understands. In addition, the only thing it thinks about is; are you safe? These neuroscience facts actually help you become more effective with the evoking the Law of Attraction when you understand how to engage your subconscious mind. Trying to motivate it with things like money, people, vacations and cars doesn’t work because it can’t interpret what you’re saying, it’s like speaking Japanese to someone who speak Russian – major communication problem. So now you’re probably wondering okay Dr. Matt, “how do you speak to your subconscious mind?” Great question! 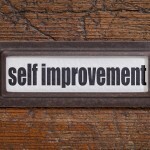 “What must I believe about myself in order for this to manifest in my life? What must this mean about me if this person, place or thing showed up? Once you have the answers to these questions, the next step is to effectively communicate those ideas and concepts to your subconscious mind in association with the goal. This is where traditional personal development modalities such as visualization, affirmation, and meditation would be useful. The key is that you combine the meaning (the intangible) with the manifestation (the tangible). 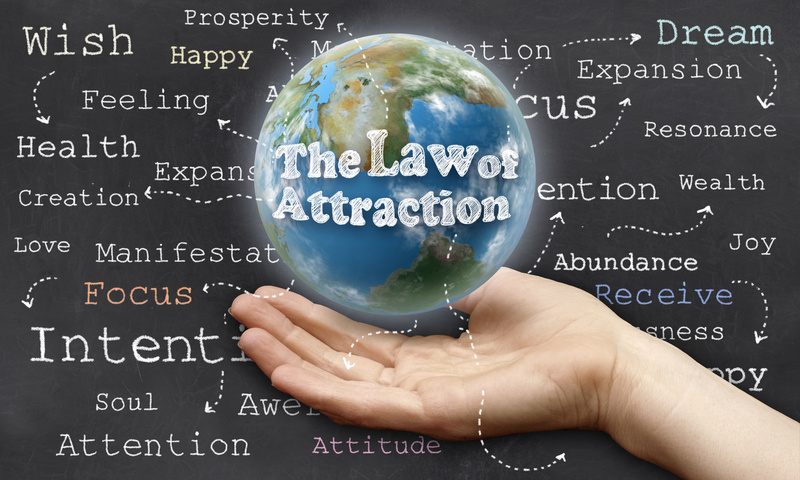 In a countdown fashion over the next three weeks, I will discuss the top 3 reasons why the law of attraction is not working for you from a neurological perspective. I will also be sharing some powerful techniques and tools to help you break free from the mind prison that you’ve unconsciously created. So let’s get started! 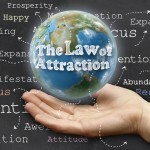 Reason # 3: The Law of Attraction is not working for you because your nervous system doesn’t think it’s safe for you. The first thing you must understand about your nervous system is that its operating system is based on safety and survival. Its job is to protect you from all potential threats internally and externally. It accomplishes this by keeping you the same. In scientific terminology it’s known as maintaining homeostasis or equilibrium. It is on constant vigilance over your physical environment making sure that you and it are an energetic match. Anything different IE; more time, more love, more money, more freedom means threat and potential harm. On the physical level this is easy to understand when you consider an oncoming train, standing on the ledge of the Grand Canyon or some opposing figure holding a knife to your throat. All of these experiences will evoke what is called the fight or flight response which is when your autonomic nervous system (ANS) takes over in order to eliminate the threat or remove you from its presence. Now at this point most people respond by saying, “Dr. Matt that doesn’t make any sense, how can more time, money, freedom, love and happiness cause me harm?” And my response to that question is, “Who said your sub-conscious mind makes sense? !” In fact, your sub-conscious mind (brain stem, cerebellum and mid brain) works through association not logical, reasonable or rational thought processes like your surface-conscious mind (frontal lobe/neocortex). You must realize that your autonomic nervous system – at the level of your subconscious mind – has already made associations and interpretations of whether or not health, wealth and fulfilling relationships are safe for you. Even though it doesn’t understand what those things are, at some point earlier in your life, experiences you’ve had around those topics caused your subconscious to form an opinion about them and created your belief system. Your belief system is simply thoughts and opinions that your subconscious mind holds to be true. And once your belief system is formed it becomes the definition of safety for you regardless if what it thinks is actually accurate or true. What is also critical to understand at this point is that once your belief system is formed it becomes your operating system and your ANS guards it as if your life depends on it, just like breathing, circulation and digestion. Anything that goes against it, including your hopes, dreams, desires and goals, must be destroyed like an enemy because all those things represent something different than the accepted norm… and different is threatening. Are you getting this? So let’s recap; your ANS only cares about one thing: your SAFETY. Your sub-conscious mind defines safety based on what it has been programmed to think from your PAST childhood experiences called your belief system. Anything your HEAD (surface-conscious) WANTS that is different from what your HEART(sub-conscious) THINKS ain’t gonna happen… PERIOD. 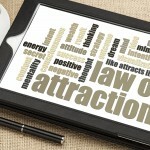 Hence, one reason why the law of attraction is not working for you. More to come! Neuroscience Expert & Personal Development Coach Dr. Matt Mannino is holding a FREE workshop sharing the 3 mistakes even smart Realtors make that keep them frustrated about attracting qualified clients, buyers, and Rock Star team members. Gilbert, Arizona (May 22, 2014) – Realtors face many unique challenges in their businesses. Aside from the pressure of working exclusively on a commission basis, they often wear many hats including marketer, home improvement adviser, credit consultant, interior designer, marriage counselor, and (often) manager or team leader. Gilbert based personal development expert Dr. Matt Mannino wants to empower local Realtors to grow strong practices by avoiding the 3 mistakes that many professionals make that compound the stresses of the real estate business and hold them back from achieving their goals. The upcoming workshop won’t be your typical real estate agent seminar, as Mannino has a unique perspective that blends his expertise in neuroscience and personal development. He will focus on “3 mistakes even smart Realtors make that keep them frustrated about attracting qualified clients, buyers and Rock Star team members.” It will be held on Thursday, May 29th at 7pm at the Source Trainings office, located at 2373 E. Baseline Road, Suite 102 Gilbert, AZ 85234. To register for this free workshop, visit: http://quantumemergence.com/workshop. You can learn more about Dr. Matt Mannino and his work at: http://quantumemergence.com. 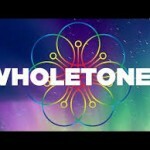 Are You a Holistic Healthcare Practitioner? If yes, then come hear me share the 3 Pitfalls Holistic Healthcare Providers Make That Keep Them on the “Roller Coaster of Growth” and Prevent them From Having Highly Profitable Practices. If you can identify with any of those statements, then this workshop is for YOU! I will share the 3 Pitfalls Holistic Healthcare Providers Make That Keep You on the “Roller Coaster of Growth” and prevent you From Having Highly Profitable Practices and will also share the key ingredients to finding the time and financial freedom you wanted when you started your practice. This is a FREE training and it’s like none other. It’s not just another business seminar, it’s about looking at the root cause of the pitfalls. Come and be prepared to take lots of notes and learn how to take your practice to the next level. May 1, 2014 at the Biltmore Hotel in Phoenix. The event starts at 5PM with a time of networking (bring lots of business cards) and Brad takes the stage at 6:30. 1. You’ll walk through how to generate as many customers as your business will EVER need, easily and profitably. 2. You will learn how to guarantee that every new customer buying from you will spend the next five years buying more products at ever higher price points. 3. Understand how every dollar spent on your marketing or advertising will return extra dollars to you down the road. 4. Effective strategies to grow your customer base, generate more leads and create a simple system for referrals that skyrockets any marketing investment. 5. Discover strategies to buy quality customers at value prices. 6. Give customers great reasons to tell others about your business. 7. Why lifetime value equals repeat business… and repeat business. Are you a small business owner? If so, come to an exclusive training Tuesday, March 18, 2014 created just for you! This Free workshop is entitled: 3 major pitfalls that prevent small-business owners from experiencing personal and financial freedom. And Remember, “those who go to together grow together” so bring someone who’s ready for increase!